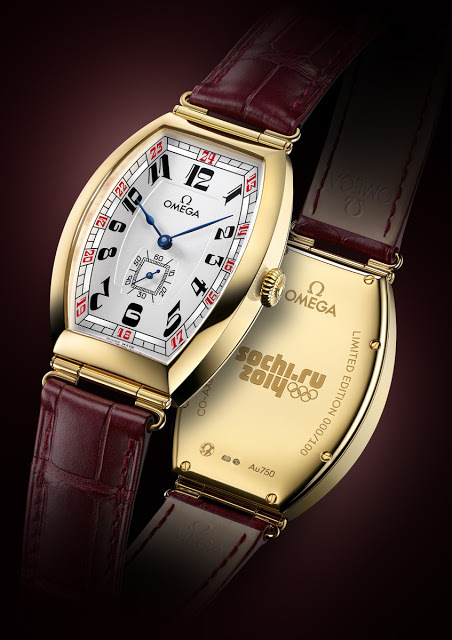 Created to mark the upcoming Sochi 2014 Winter Olympics, the Omega Sochi Petrograd is a remake of a 1915 tonneau wristwatch. 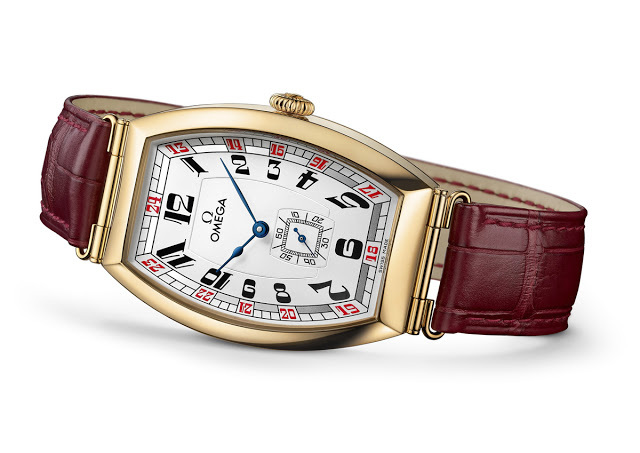 Based on a 1915 wristwatch made for a Russian client which is now in the Omega museum, the Sochi Petrograd limited edition has a yellow gold, tonneau-shaped case. Along with the large Arabic numerals and wire lugs, the style of the watch recalls the timepieces popular in early twentieth century, pre-revolutionary Russia. The silver dial, with its red minute markers and blued steel hands, is meant to evoke the colours of the Russian flag.